Read Rene’s profile in the Log Cabin Democrat. RENE – Journalist, Visionary Community Leader, PROTIRED Nurse. Committed to alliances and partnerships that serve to strengthen infrastructure and economic vitality in D 4 and throughout Faulkner County; will work to enhance capacity of D 4 emergency responders and provide much needed taxpayer services to currently and previously underserved areas of District 4; support safety measures that prevent and combat school violence, neighborhood crime, and drug abuse and misuse; dedicated to the reduction of child hunger, substandard student reading levels, and sexual exploitation of children; while continuously seeking to promote civic and social good throughout District 4 & Faulkner County. I am running for office because I feel a strong sense of urgency and deep responsibility to help move District 4 forward with more complete and effective representation on the Faulkner County Quorum Court. I want to be held accountable for my public service when elected. I want to live up to the confidence the voters place in me at the polls. I believe the issues the residents of District 4 relay to me can be addressed and I want to be the elected official they can rely on to help achieve workable outcomes. Rene was born in a rural Arkansas and was raised by her Mother with the assistance of relatives and neighbors. Her Mom reminded her to always choose work over welfare. And her grandfather reminded her to work as hard for her employer/boss in their absence as she did in their presence if not more so. 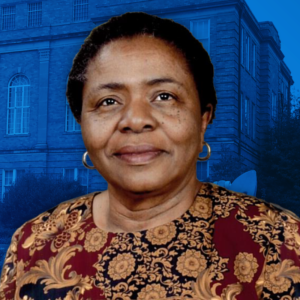 Rene graduated second in her class in Earle High School and attended University of Central Arkansas where she obtained both of her degrees in nursing. She birthed 3 daughters who have blessed her with 4 granddaughters. Since her protirement, Rene reports on events and submits them to newspapers and magazines and serves as co-hostess and a guest on Radio Shows. Since childhood, Rene’s mother insisted she go along with her as a volunteer on various campaigns. Always engaged in civic matters, Rene continues to see it as her duty to offer input and feedback to political officials, decision makers, and community leaders when significant viewpoints have been overlooked or omitted.